So summer is done for another year, but before I fully start to embrace Autumn and get into layering and winter dressing I thought I would enjoy the last of the sunny days. Since moving to London I have grown up in Hackney, I'm a Stoke Newington girl! Hackney is going through a massive regeneration and is actually becoming one of the most desirable places to live in east London, believe it or not! 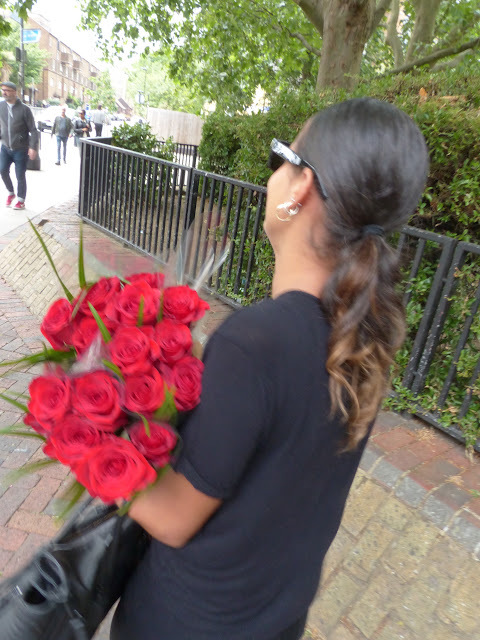 One of the lovely hidden gems is a small but extremely popular flower market on Columbia Road, one of my mother's favourite pastimes on a Sunday afternoon so I thought I would go and find myself the perfect bunch of red roses. My favourite! 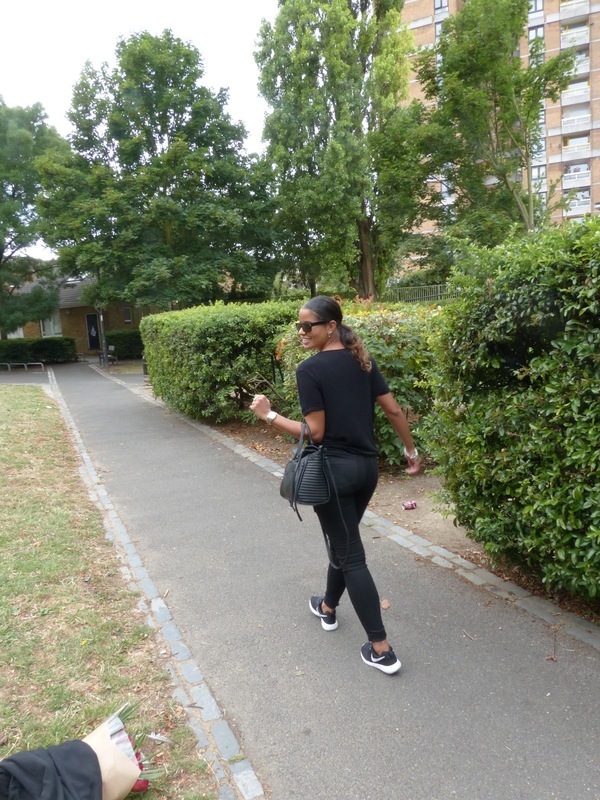 I chose to keep it simple in all black, an easy forever t-shirt, black ripped jeans and Nike Roshe. Made me easy to stand out amongst the back drop of colour! Hey beauties hope you are all well, just a quick post on a date night outfit I threw together. I'm loving Navy this winter... I have seen a Navy Michael Kors bag that i'm obsessing over too! But hey I will behave and just window shop for now. I know Tartan is back this fall, I will ask Sophie if stripes are in because I seem to be drawn to them at the moment! As Autumn approaches I'm sadly spending Saturday night reminiscing on my family road trip to York. We spent 5 days in the beautiful city visiting some of our bestest friends. I won't go into the whole trip before I end up in tears with 'road trip blues'. However what I will say is 5 days is not enough time in York, considering its such a petite city. Don't be fooled it is jam packed with history, whimsical architecture and tea rooms (my fave). One coffee shop we visited was so impressive its worth a whole blog post. Around 8 miles outside York in Easingwold a hidden gem called Sugar Mouse rests. Amongst a cobbled courtyard you step into what I can only describe as a childs dream world. Not only a coffee shop, but an ice cream parlour and an old school sweet shop. Sugar mouse had it all! The relaxing happy atmosphere and enough treats to bring out the kid in any adult.